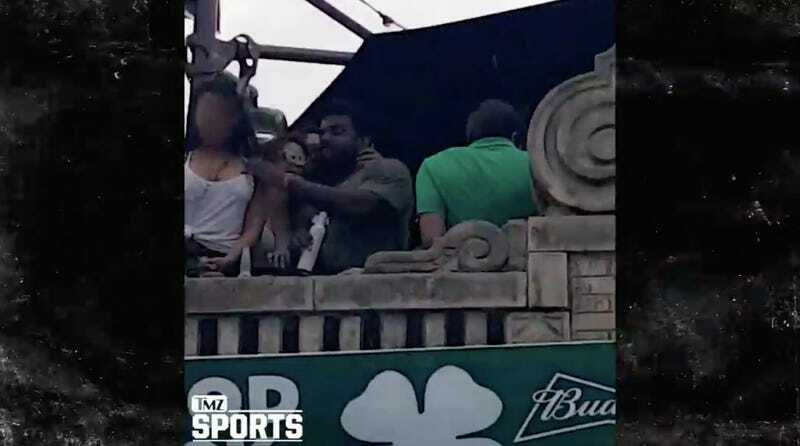 Cowboys running back Ezekiel Elliott was spotted at a St. Patrick’s Day shindig Saturday in Dallas; he was also seen pulling down a woman’s shirt to show her breast to the soused public. We spoke with Elliott’s rep who told us the woman wasn’t upset ... and actually hung out with Zeke and a group of friends after the parade ended. Update (5:53 p.m. Eastern): TMZ updated with a second video in which Elliott tries to pull down the woman’s shirt before she slaps his hand away—then pulls her shirt down by herself.